Minoli Salgado’s 2012 Prize-winning novel A Little Dust on the Eyes has been shortlisted for the 2016 DSC Prize for South Asian literature. 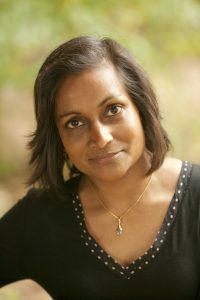 Minoli’s memorable and moving book, about Sri Lanka’s twin tragedies of a brutal civil war and the Boxing Day tsunami, is a best-selling publication for Peepal Tree Press. 2014 Readers’ Choice winner Kit de Waal has signed a three book deal, and her first novel My Name is Leon will be published by Viking in 2016.